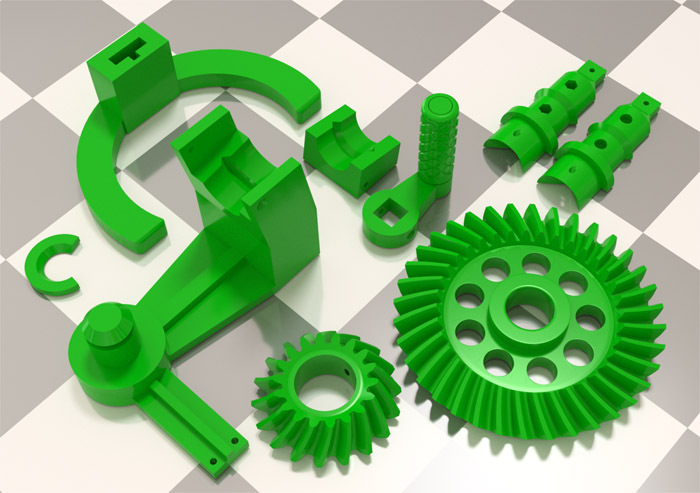 Add this nice-looking, educational, and fun working model of the bevel gear drive to your 3D-printed collection of things with the .STL files freely available from the link below. You will also need 8 metric Phillips flat head screws M3x12 and 2 metric nuts M3 to put the model together. Those can be bought cheaply on eBay. We recommend that the two halves of the pinion shaft be printed with a raft for better coupling. The raft and remaining residue should be removed with sand paper. If printed properly, the crankhandle's grip should rotate freely around the handle. 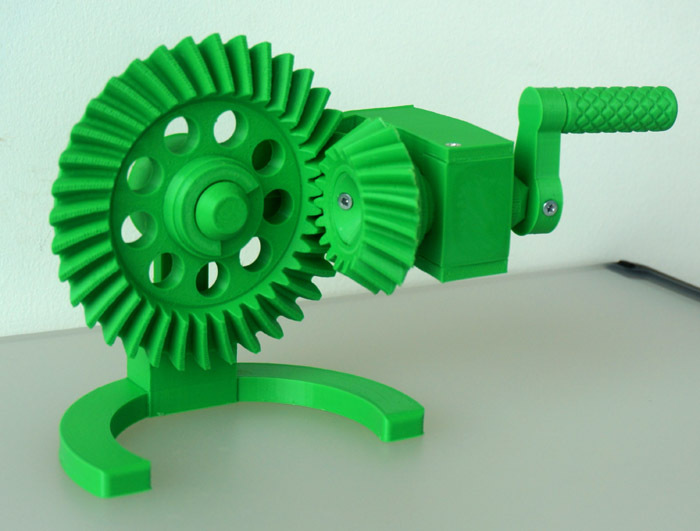 Enjoy your bevel gear drive model!